Located in the City of Commerce, this project was funded thru City’s Measure AA Funds. 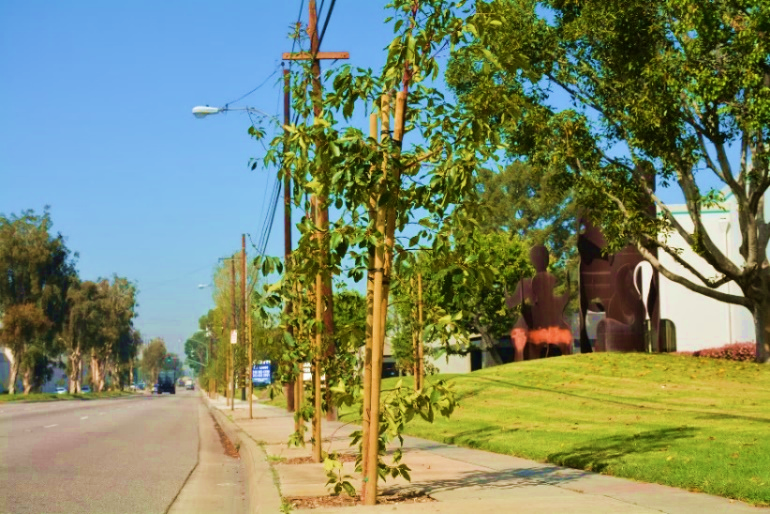 The project included removal of 149 overgrown Ficus trees that displaced the sidewalk in some areas up to 2 feet high and replaced them with new ADA compliant sidewalk and planted 433 drought tolerant trees in their place. Transtech prepared the PS&E, as well as provided construction management, resident engineer, inspection, labor compliance and office engineer services.